Reduces the vehicle’s unsprung mass the same way alloy rims do vs. steel rims, to enable the tyre to follow the road’s surface contours more closely, improving steering precision and dry handling. 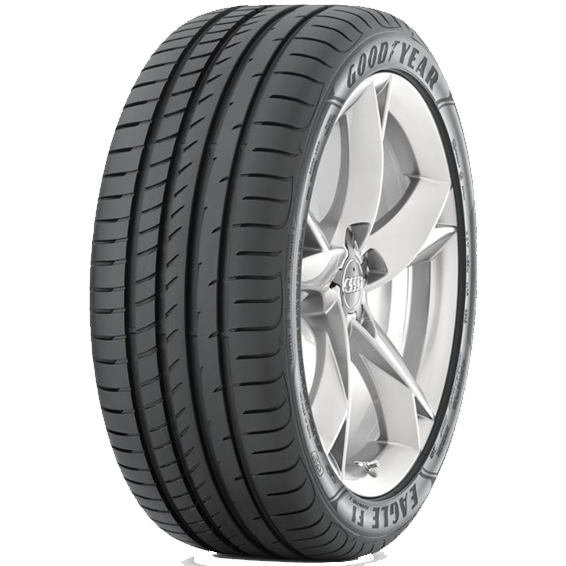 Less material in the tyre and lower heat generation reduces rolling resistance, which can help to reduce fuel consumption and save you money.”,,,,The Goodyear Eagle F1 Asymmetric 2 SUV tyre has been developed for advanced high-performance crossover and sport utility vehicles.,”The Eagle F1 Asymmetric 2 SUV’s tread compound combines Goodyear race traction resins for dry grip, high surface silica for wet traction and high molecular weight polymers to optimise tread stiffness. ActiveBraking Technology 3-dimensional tread element designs increase surface contact with the road to reduce stopping distances during heavy braking, while its wide circumferential grooves disperse water from the tyre footprint. OE of choice for the Porsche Macan and Audi Q7.